Outdoor drainage and anti-slip mat for all weather. Eco friendly recycled rubber 1/2" thick base keeps it in place. 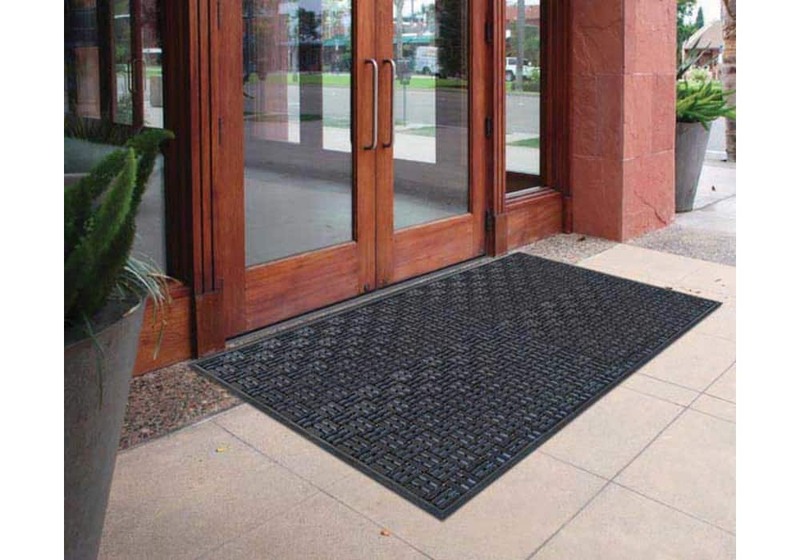 Select Size 32" x 39" 36" x 59"
AquaFlow Outdoor Drainage Mats are the Ultimate Commercial Outdoor Entrance Mats. AquaFlow entrance matting has dual wiper blade and nib construction which provides outstanding cleaning action and anti slip mat performance. The flow-through drainage design keeps dirt and moisture off the mat for a clean appearance. Great for entrances with significant outside rain, mud, sleet, or snow exposure. Used as non-slip outdoor mats. Recommended uses include: Outdoor high-traffic entrance areas such as schools, office buildings, restaurants, ski resorts, and other recreational facilities exposed to snow and mud conditions. 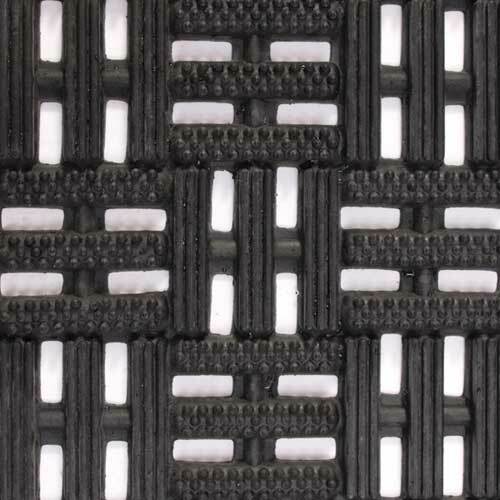 These entrance door mats are extremely easy to clean; simply shake or hose off. 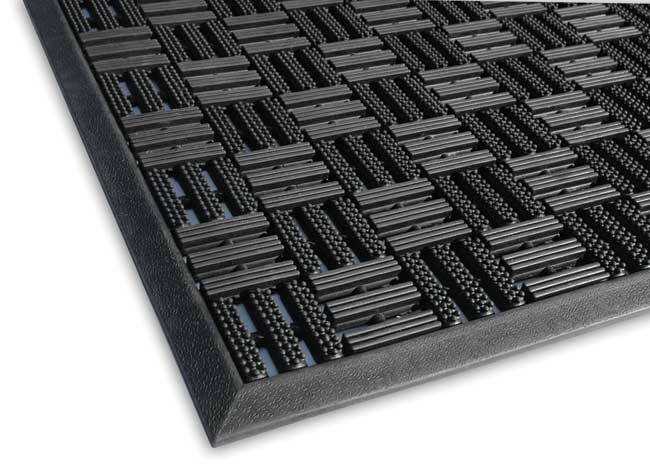 Flow-through drainage mats keeps dirt and moisture off the mat for a clean appearance. 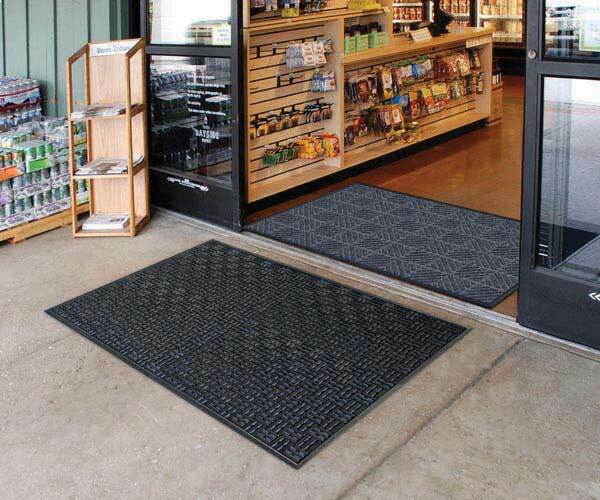 2.5' x 3' 32" x 39"
3' x 5' 36" x 59"
AquaFlow Outdoor Drainage Mats are the Ultimate Commercial Outdoor Entrance Mats. AquaFlow entrance matting has dual wiper blade and nib construction which provides outstanding cleaning action and anti slip mat performance. The flow-through drainage design keeps dirt and moisture off the mat for a clean appearance. 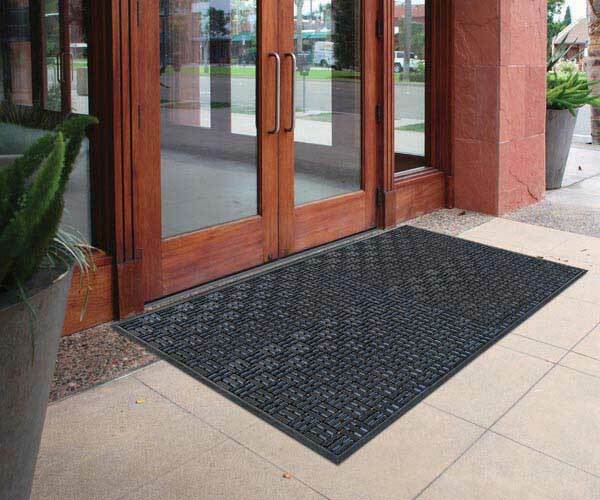 These entrance door mats are extremely easy to clean; simply shake or hose off. AquaFlow are recycled rubber mats made from 60% recycled rubber materials. Used as non-slip outdoor mats. Great for entrances with significant outside rain, mud, sleet, or snow exposure. Recreational facilities exposed to snow and mud conditions.